Sue first; ask questions later. That’s the mindset of many employees in today’s workforce. Fueled by many factors, employee lawsuits can be devastating. Beyond damaging your business’s reputation, an employment claim can lead to lower morale, diminished productivity and lost trust. Statistically, it’s three times more likely to happen than a fire. But like a devastating blaze, it could destroy your business. It’s an employee lawsuit. If you own a small business, the risk of being sued by an employee is very real. According to the U.S. 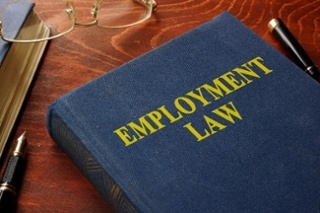 Equal Employment Opportunity Commission (EEOC), employees of businesses big and small filed over 90,000 employment-related claims in 2016 alone. In this article, we’ll take a look at five industries that are ideally suited for Employment Practices Liability Insurance or EPLI. Twenty years ago, EPLI wasn’t widely used in the United States; even a decade ago, most companies didn’t buy it. Today, while many companies have stand-alone EPLI coverage, only about 20 percent of businesses with fewer than 50 employees had it as recently as 2015, according to Advisen, a data, media, and technology solutions provider for the commercial property and casualty insurance market.